Roosevelt expressed the Spanish- American War of 1898 marking the turning point in foreign affairs. 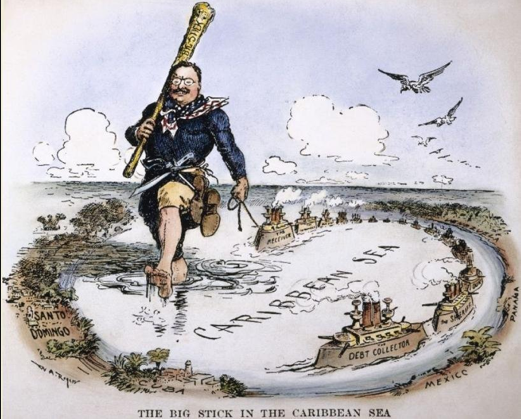 In result, we won the war; Roosevelt became the President and created the saying, "speak softly and carry a big stick", to initiate that the government will negotiate with other countries peacefully but at the same time make the other side explicitly aware of what will happen to them if the negotiations fail. You can speak softly if you have a lot of power. I am proud of Roosevelt and his authority towards this issue and how he addressed this issue very forward and self sufficient. 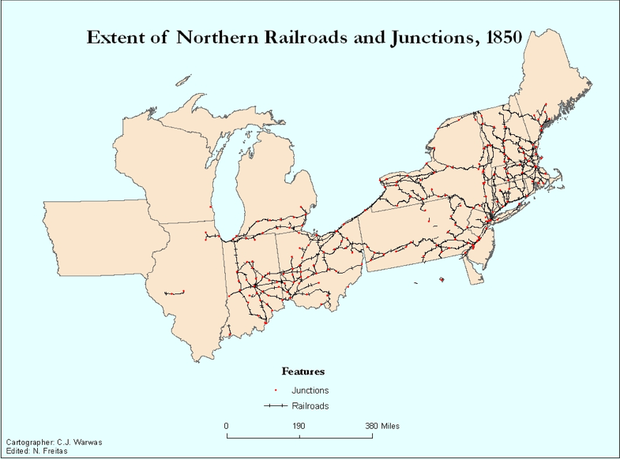 American railways system became a nationwide transportation network in the 1820's and connected the U.S by rail from coast to coast. It soared 14,500 kilometers in 1850. This event represents my pride for the United States because it has effected the course of U.S history in multiple ways; not only has it provided an easier way to transport heavy items and resources but has also changed and made it much easier for transportation today. 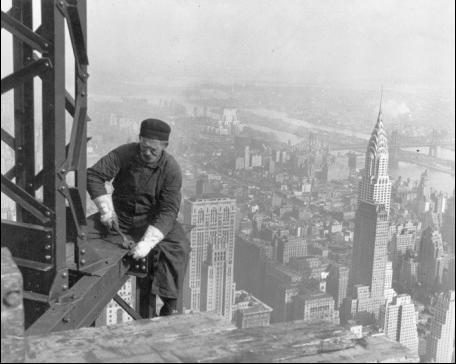 The availability for jobs in industries drew people from farms to cities in 1870, 25% of Americans lived in urban areas, and in 1916, reached 50% of people. In my opinion, the amount of jobs that were available for adults, even though the pay might not have been so high, was a huge step in the history of US, and I am proud that we have had that idea for our people and families. 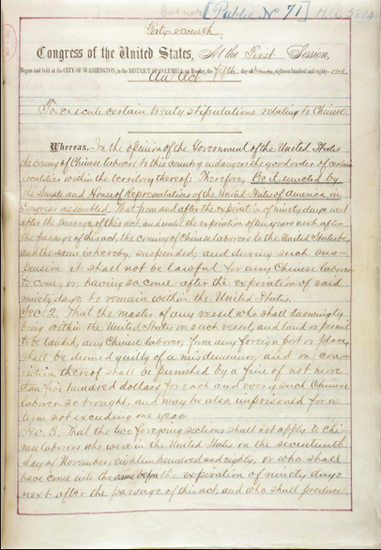 The Chinese Exclusion Act was the first major law restricting immigration to the United States in 1882. 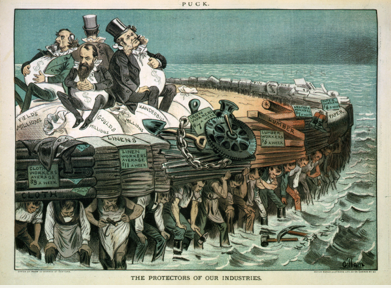 It was enacted in response to economic fears, especially on the West Coast, where native-born Americans attributed unemployment and declining wages to Chinese whom they also viewed as racially inferior. I do not approve of this act because I believe that everyone is equal and that no race is inferior or superior to any other. 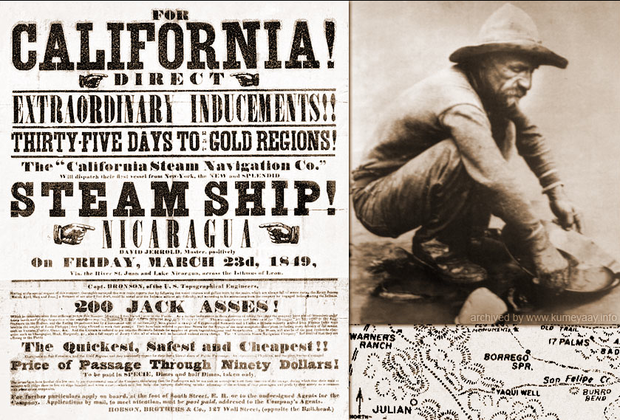 The California Gold Rush persuaded about 25,000 asian immigrants to settle into the U.S. The California Gold Rush made a total of $2 billion worth of precious metal and was extracted from the area during the Gold Rush. The gold was found by James Wilson Marshall who just found gold flakes in the American River, and was found thousands in result of The Gold Rush. I am proud that we have founded the use of gold and made the gold desirable towards immigrants and made more jobs and money because of this. Ellis Island opened in 1892 as a federal immigration station. Millions of newly arrived immigrants passed through the station during that time, it has been estimated that close to 40 percent of all current U.S. citizens can trace at least one of their ancestors to Ellis Island. Immigrants were required to pass a series of medical and legal inspections before they could enter America. 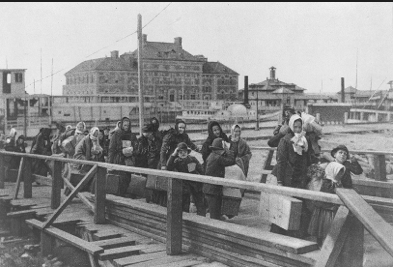 The actual experience of going through inspection or detainment on Ellis Island was often nerve wracking. Those who did not pass these inspections were returned to their country of origin on the boats that brought them here. Even though only 2 percent of those coming to America were turned away at Ellis Island, that translated to over 250,000 people whose hopes and dreams turned to tears . I am proud that we created this temporary home for immigrants but also ashamed because of the not so detailed inspection of whether or not someone was carrying a disease. Social Darwinism is the the theory of natural selection to political and economic issues. It was extended towards other countries. Poverty, violence, racism could best be solved by God. This theory was used to promote the idea that the white European race was superior to others, and therefore, destined to rule over them. I am both proud and not proud of this issue because of the sense of the European race thinking they are superior over other races but also proud because they thought major things could be solved by God. 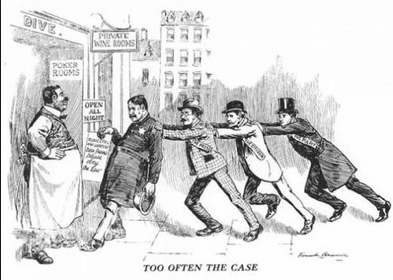 Robber Barons in the 1870's was used to describe businessmen that used for illegal charging and transactions to gain large fortunes. They were used by lords who made personal fortunes by using illegal and immoral business practices, such as illegally charging tolls to passing merchant ships. I am not proud of this action at all, because of the inappropriately way of stealing money from people was a selfish act for people to use for their own personal gain. 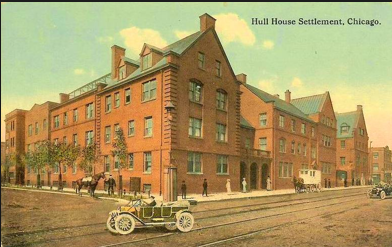 The Hull House was founded by Jane Addams in Chicago in 1889. It taught children and adults education, provided English classes, organized jobs, and public health services. I am extremely proud of this notion provided by Jane Addams, and because of her courageous idea and act of service and determination, without her, a lot of the education and housing wouldn't have helped the massive amount of families and individuals lives that she saved by this idea. 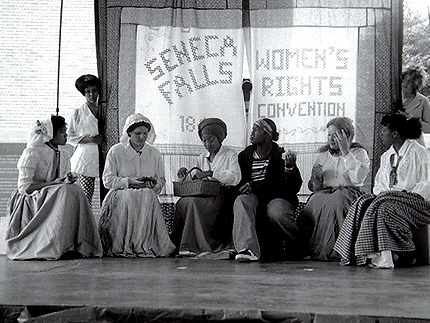 The Seneca Falls Convention was the first women's rights convention. It advertised itself as "a convention to discuss the social, civil, and religious condition and rights of woman". It was held in Seneca Falls, New York, it spanned two days over July 19–20, 1848. The women of America wanted women to have the right to vote, divorce, have higher education and professions. I am very proud of this convention and the effect it had towards passing the 19th amendment, giving women the right to vote and so much more abilities because of these brave and courageous women. Child Labor began to decline as the labor and reform movements grew and labor standards began improving political power of working people to demand legislation regulating child labor. American children worked in large numbers in mines, glass factories, textiles, agriculture, canneries, home industries, and as newsboys, messengers, bootblacks, and peddlers. I am not proud of child labor in the U.S because I think that putting children to work in such extreme and harsh conditions and with little pay is rude and uncalled for. Most southern and border states instituted a legal system of segregation with African Americans separated from whites and in schools and public settings. 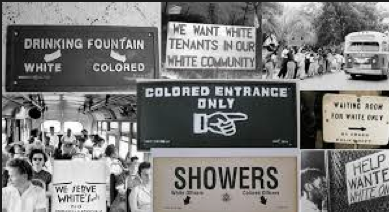 In this era of segregation, most believed that blacks were inferior to whites and that blacks did not have the same rights or abilities compared to the whites, and in result were treated poorly, and even killed because of this. I am not proud of the segregation between whites and blacks in the United States. I believe everyone is equal, no matter what race, or ethnicity, and I am ashamed of the people of the U.S and that we supported that. 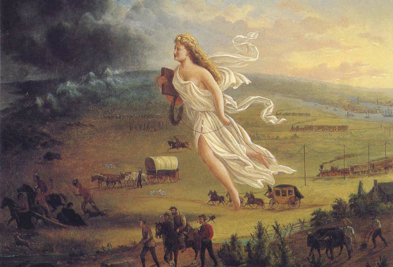 Manifest Destiny was the wanting to expand our territories by gaining Hawaii, Puerto Rico, Guam and Phillipines after the Spanish-American War. We wanted to expand civilization and territories from coast to coast. 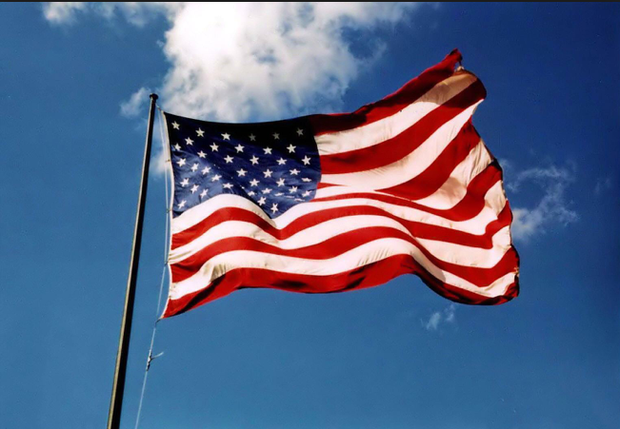 I am proud of this urge to want to grow more as a country because without this, we wouldn't be as large of a country and wouldn't be combined as one without this. 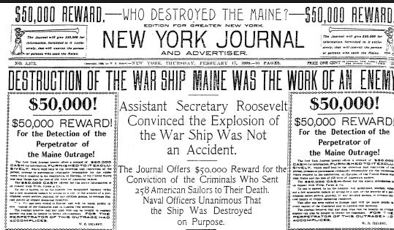 Yellow Journalism helped to promote any propaganda by advertising false lurid features and sensationalized news in newspaper publishing to attract readers and increase circulation. I am not necessarily very proud of this but at the same time am not very concerned with when this happened because I don't think that this effected anyone's life incredibly or negatively for that matter. 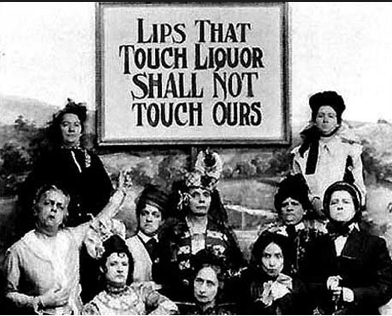 Most progressives, especially in rural areas, adopted the cause of prohibition. They saw the saloon as political corruption incarnate, and bewailed the damage done to women and children. They believed the consumption of alcohol limited mankind's potential for advancement. Progressives achieved success first with state laws then with the enactment of the eighteenth amendment of the United States in 1919. I am proud of the Prohibition Act because in my opinion, I don't think anything comes good from consuming or being involved with alcohol. Even though this caused uproars, and riots with the people of the U.S, I still wish that this wasn't such a major deal because it would have created less danger in the world. 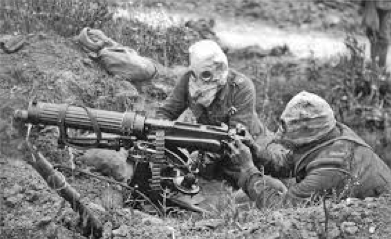 WWI introduced many deathly weapons. It provided the U.S with the inventions of tanks, airplanes, trench warfare, machine guns, flame throwers, and chemical weapons. I am very impressed that we could come up with the inventions of this weaponry and glad that it helped us with multiple wars with these. 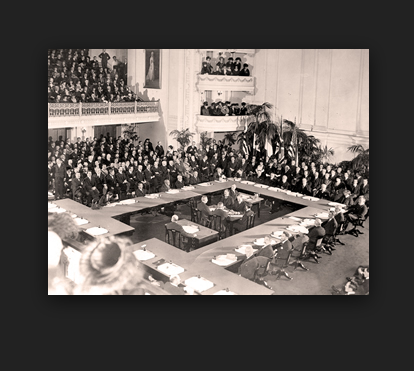 The Treaty of Versailles ended WWI and the war between the Germans and allies. The GErman government was given three weeks to accept the terms of the treaty. Their initial response was mostly ignored. I am proud of this treaty because of this, it made us seem higher in demand and in power because of the hold we had on other countries. 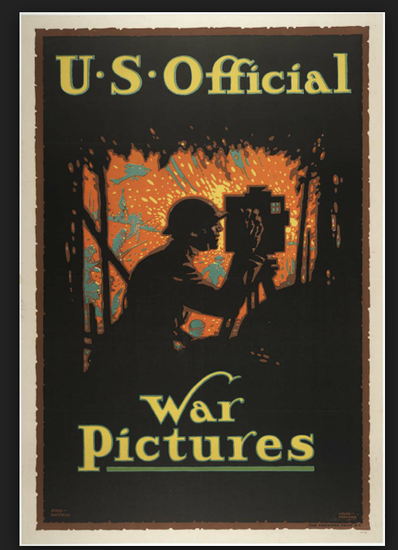 The CPI hired writers and speakers to promote war effort throughout the country to help out our troops and their families. I am proud of this because it not only spread awareness on what to do to help out, but also made our country together as one.